Playback singer SP Balasubrahmanyam is the second Indian, after MS Subbulakshmi, to be performing at State Kremlin Palace, Moscow, to mark the festival of lights celebration by the Indian diaspora, on November 6. As the legendary singer completed 50 years of singing, this year, television host and entertainer Badava Gopi along with his friend Vijayakumar will be organising a special concert as a part of the event. 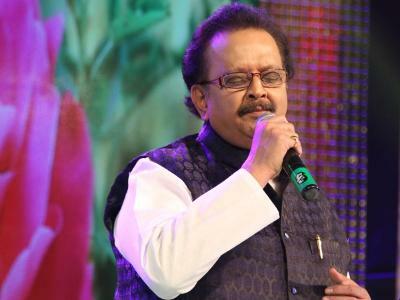 Talking about the event, Gopi says, "We've wanted to do something for SPB sir as he has completed 50 years of singing. We have been pushing for his concert for a long time now and it has, finally, come through. It is a prestigious hall and he will be the first Indian since MSS, to perform at the venue. It will be a four-hour-long concert. Though there is a considerable number of Indians in Russia, the Tamil-speaking population is small there. Keeping this in mind, he will be singing a mix of Tamil and Hindi songs. What's interesting is that he will also be belting out some Russian songs. He has been given a few songs, for which the rehearsals are on. There will be Russian dancers, too, who will do a special performance with Tamil songs." Singers SP Charan, SP Shylaja and Malavika will be co-singing with SPB. "Instead of choosing one particular group of orchestra, the singer has chosen the best players from Hyderabad, Chennai and Bangalore for the concert. I will be anchoring the show," he says.